Parents are often one of the most important people in helping a couple celebrate one of their most memorable days of their life. From the time you say “I do” to the moment you walk down the aisle, your mother and father are there by your side. Moms easily fall into the role of wedding helper. Trying on wedding gowns and choosing flowers comes naturally to them. But what about Dad? How do a bride and groom make their Dads feel part of the special day? Dinner Toast or Blessing – If your father is a natural in front of an audience, ask him to do a dinner toast or blessing at the reception. This gives Dad an opportunity to participate in the wedding day in a practical but meaningful way. Utilize His Skills – Incorporating your Dad’s talents into your wedding can help him feel like he is contributing more than just money. It also offers him a way to show how much he cares. If he is great with tools, ask him to create an altar or trellis for the wedding ceremony. If his skills are in music, he could help arrange the songs for your slow dances. Slideshow Tribute – If you plan on playing a slideshow during the reception make sure to include photos of both the father of the bride and the father of the groom. Snapshots of you and them in the past can be both heartwarming and sentimental and the perfect way to say “I love you” without using a single word. Special Moment for Two – While grand gestures of love can be wonderful so can a special moment shared between two. Something as simple as telling your Dad how much you appreciate him before walking down the aisle can be a heartfelt way to make him feel loved. The best way to show Dad you care is by making him feel comfortable on your wedding day. If he is a shy person, don’t ask him to make a grand speech in front of everyone. If he has two left feet, choose a slow, easy song for the father/daughter dance. The key is to be thoughtful of his needs while also keeping true to your own wants and desires for your wedding. Doing so will ensure both you and Dad have a night to remember. A wedding is not only a celebration of the love between two people but also a time for families to come together. 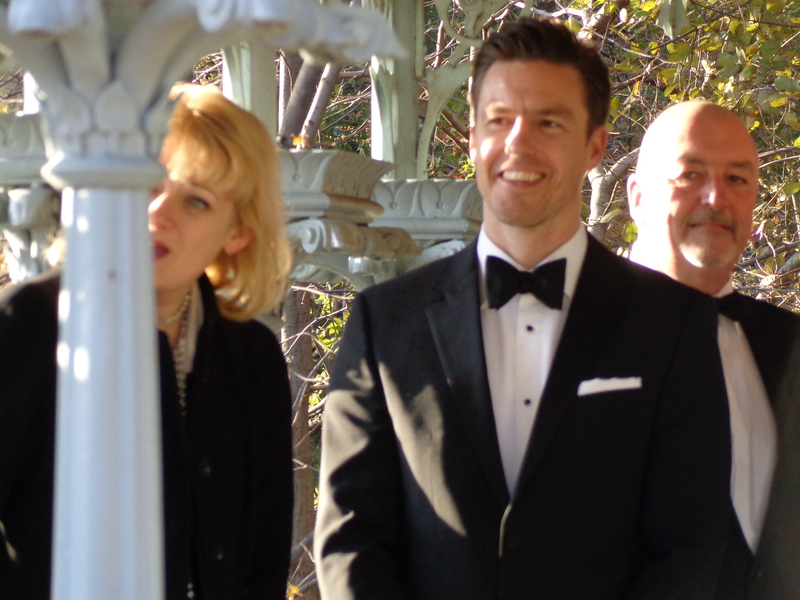 At Elegant Weddings, we specialize in helping our couples incorporate their loved ones into the wedding day. From the initial planning to the reception, we assist in you in creating lasting memories for both you and those you love.